Cute and Content: Not So Impossible! The first school where I taught was considered “failing.” If our test scores didn’t go up that very year, the school would be taken over by the state and we had a good chance of losing our jobs. A big push from our administration was to consider the value of each and every activity we were doing. Was it cute, or was it content? While I only taught there two years, the mantra stuck with me. Now, I don’t mean that we can never do the cute stuff, or that my room is bare. I spend so much time there, and so do my students! But I’m a big fan of bringing in a little content with the cute whenever possible, especially now that I teach 4th grade. So, Creative Teaching Press definitely brought the cute- but you may not know that they also bring the content, even for the upper grades. Close reading is one of the most vital ways we dig into text, and I love this close reading poster set for reminding students of the routines! It has a fresh, modern feel- but more importantly, it gives kids a practical reference to use during class. The specific examples for text-dependent questions would be SO helpful for my struggling students! And for math, I love introducing my students to multiple strategies for solving. For my kids, it’s never been helpful to just put reference material on the wall without really using it together- so I love to laminate posters ! That way, I can write on them with a dry-erase marker during our mini-lesson. Once we’ve introduced and practiced each strategy, we add it to the wall- and the kids can use these anytime they need a reference! Anchor charts, like these for Multiplication and Division Strategies and for Algebraic Thinking, can really help our students be successful- especially if we make them an interactive part of our lessons. Just remember- no matter what your classroom theme or color scheme is, it’s ultimately a classroom. When your mind starts to drift to next year’s classroom theme or setup (I always start thinking about that this time of year!) don’t forget to think about the content as well as the cute! And to help you out? Creative Teaching Press has offered to share all of the items in this post with one of YOU! If you’re looking for colorful, cute, and practical classroom décor- make sure you check them out. 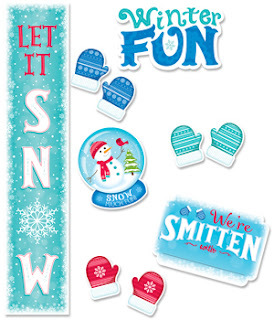 CTP is always adding new products, too- like a new Snow Much Fun! Bulletin Board to celebrate winter this year featuring a snowglobe, banners, mittens, and more. 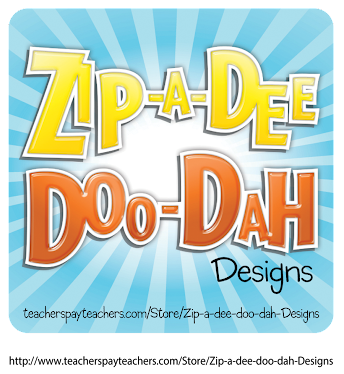 To see more of what Creative Teaching Press has up their sleeves (and to enter for more free décor!) hop over to Ehle Kindergarten!